For over a decade, Sean has worked at the intersection of emerging technology, data and business. A believer in close collaboration with customers, he combines a broad range of technology consulting experience with leadership in business development and strategy. Sean helps clients frame business problems, identify solutions, and lead implementation teams in agile engineering and data science. He has deep experience as a technology consultant, platform architect, and business development professional. He provides a strong combination of technical skills and business acumen, significant experience working with emerging technologies, leading complex projects with global teams, and driving outcomes in both high-pressure startup environments and with C-level executives in Fortune 500 enterprises. 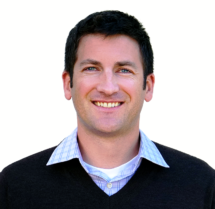 Prior to SVDS, Sean led business development and strategy for Joyent, a high-performance cloud computing provider. Previous to Joyent, he was Initiative Lead of the Strategic Data Management practice within Accenture’s emerging technology group—the Accenture Technology Labs. He led a full spectrum of R&D innovation activities, including product management, software development, technical project management and client delivery. Sean also led development of the Core Sensor Telemetry Architecture, a platform to manage and process data from distributed sensor networks. While at SVDS, he has led data science & engineering teams build successful capabilities for Media & Entertainment, eCommerce, Software, High Tech, and IT Security companies, among others. Sean graduated as a Presidential Scholar and with Honors in Engineering from Dartmouth College, and received an MSEE in semiconductor physics from the University of Washington, where he published his thesis results in the Proceedings of the National Academy of Sciences (PNAS). In this post, we will look at driving product engagement with behavioral data, as well as building an integrated analytical environment. The promise of data and analytics for product companies is that they can help you understand usage, and improve your ability to build, deploy, and service products to customers much more accurately and efficiently. In this post, we look at understanding the customer life cycle. In this post, we go over some emerging themes in IoT and give you a solid place to start in understanding the ecosystem.